It's great to see some fresh entries into the top streaming tracks at Modern Rock this week. 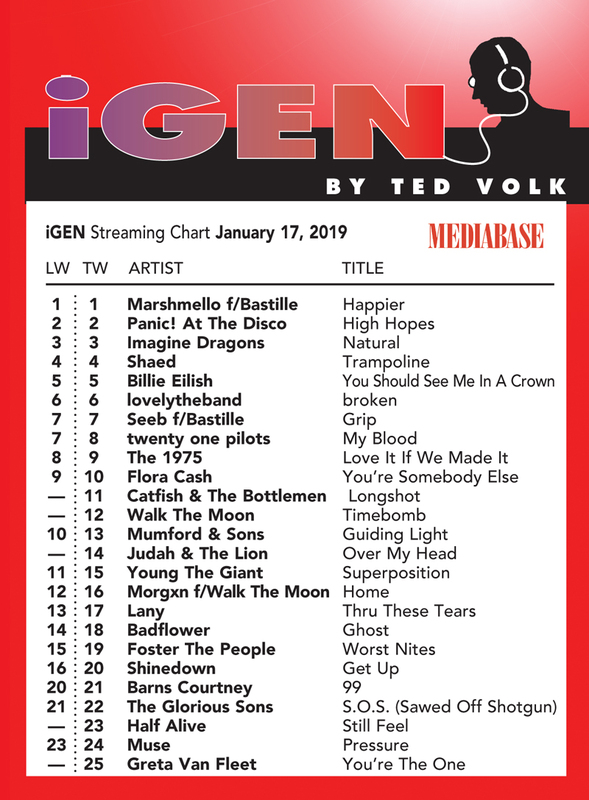 In the streaming world EDM is a big thing which brings a strong start for Seeb's "Grip" f/Bastille with about 1.5 million audio streams this week. We had real good debuts for Catfish & The Bottlemen, Walk The Moon and Judah & The Lion. Half Alive's (RCA) "Still Feel" is a record to watch as early streams looks rather promising. One of the early streaming winners in 2019 is Shaed's "Trampoline"and Flora Cash's "You're Somebody Else" comes all the way home with strong streams.